This is one of those strangely moving times for me. Doris sits playing at our piano; with the notes come a whirlwind of emotions and memories. She complained that her fingers were not working just right but she kept on with Gospel Songs. Right now I hear, “What a day that will be.” The words tell of meeting Jesus in the land where there will be “…no more sorrows or burdens to bear.” That day we’ll meet the multitudes of those that have followed Jesus. But now the stories that come to mind. When Doris sits to play at the piano, stories blow through my mind from days past. For instance, I find it strange how I dragged her to Neves in the interior of the State of São Paulo. Its population would have been in the hundreds and almost a day away from other English speaking missionaries. Looking back, I can imagine our loneliness though our intense schedule left little place for that. How was it possible that this lady who has taught seminary classes, led church and Bible School choirs would play the accordion and teach Gospel songs to crowds of children and adults on coffee ranches? Then Bob and Ruth Kasperson and family came to visit us and provide encouragement. They drove their Jeep from pioneer territory in the State of Paraná to our place; all that long trip over dirt roads that were either dusty or muddy. Later we returned the visit to Paraná taking a number of different buses to first stop to visit OMS missionaries in Londrina, Paraná. There we met Rev. 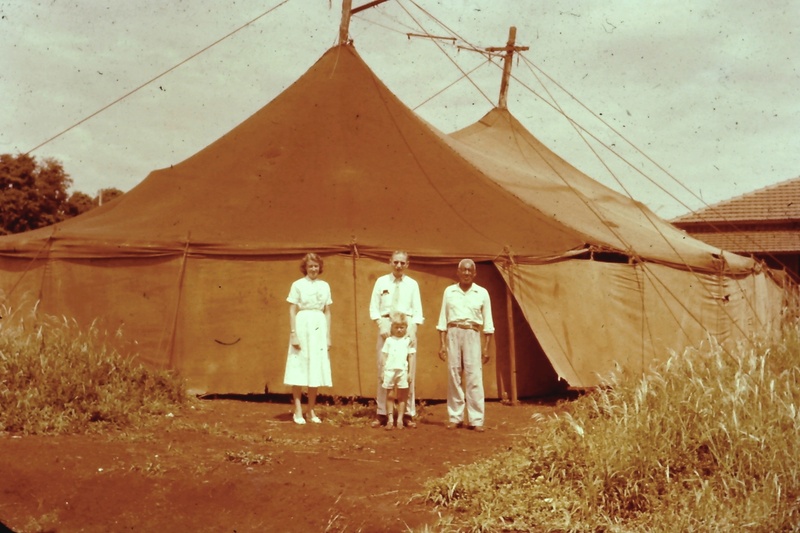 Hubert Clevinger who taught seminary and planted churches often holding services in tents. Back in the 50s those tents attracted huge gatherings. There one Sunday Clarence and Betty Owsley took us to visit a couple of churches. Betty played the accordion and Doris the cowbells. That was such an attraction that the services would go on for hours with the folks calling out numbers from the hymnal for the ladies to play. The cowbells were a novelty and Doris never missed a beat on hymns, even ones she did not know. Then another bus and more dirt roads with at one place cowboys herding their cattle. This area of Paraná was largely given over to coffee though the planters found out that frost occasionally destroyed the bushes. 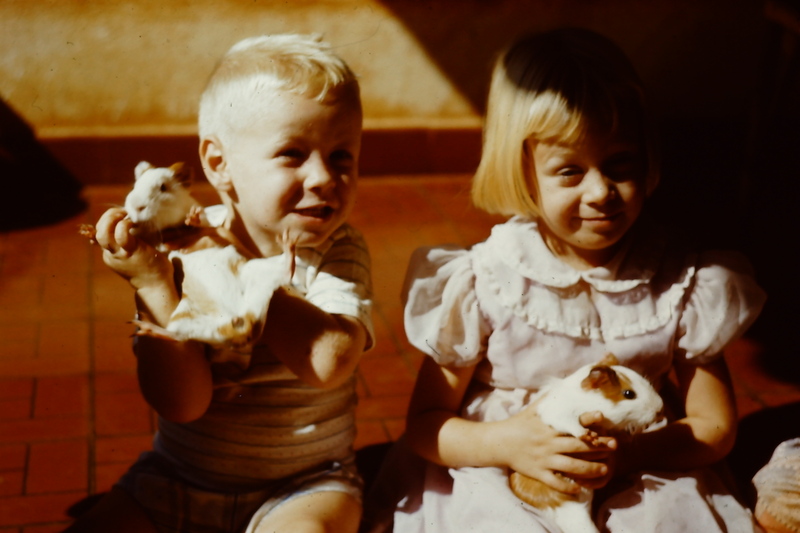 After a hard trip we came to the city of Maringá and located the home of Bob and Ruth. It was set on the edge of the town with the logs of fallen trees scattered nearby with corn planted in between. It was a pity to see the logs being destroyed by termites for that wood would now be worth a fortune on the world’s markets. I don’t suppose Bob now cares about hard days except as part of an eternal reward; we may have had it hard but nothing like the Kaspersons. Their home was made of rough-hewed boards that left cracks to the outside. 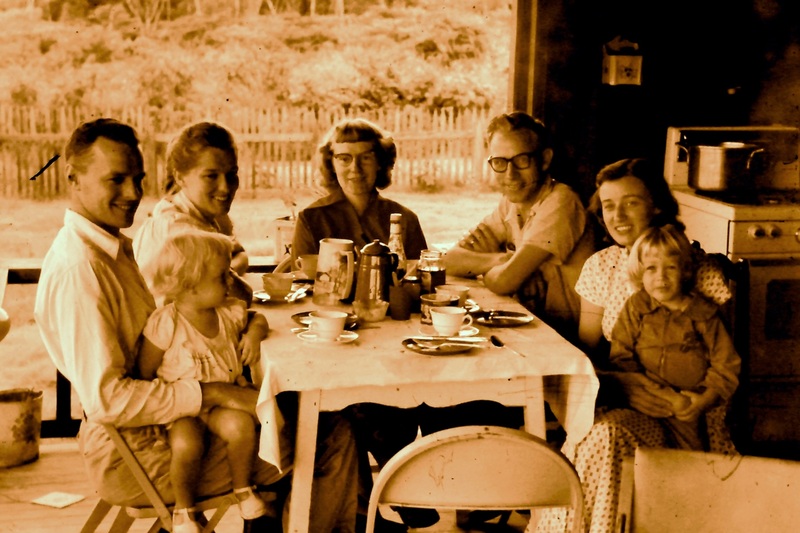 We all used a small chemical toilet in the home that I di-stink-ly remember—get the pun? 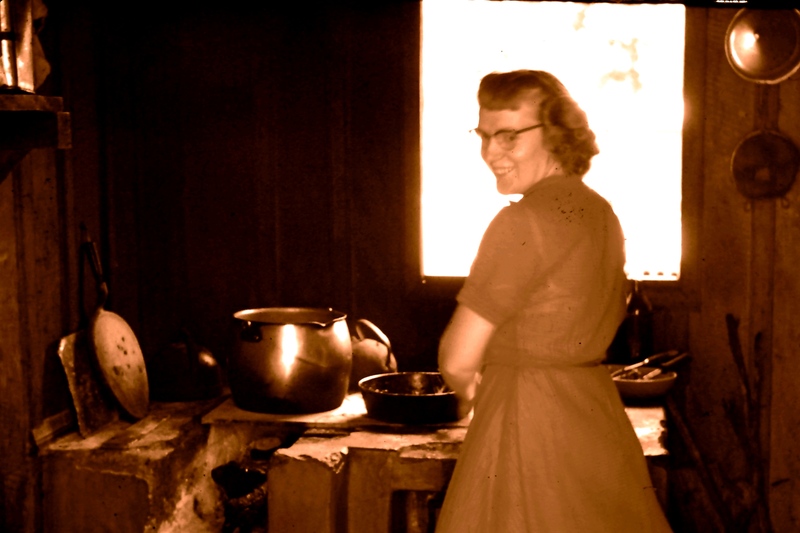 Ruth did their cooking over a rough brick stove with a steel plate over the open firebox—we could see the fire burning. The kitchen was a rough lean-to beside the house. And Ruth had a smile on her face. Wow. Bob asked me to preach on Sunday—I recall this family was much loved by the people in this church- planting situation. Then Monday we piled into their Jeep and they drove out to the village of Cianorte to visit another missionary family, the Hartmans. This village was right on the edge of the area where the jungle was being cut to plant coffee and where the jaguars roamed free. The Hartmans had built their church on a hill overlooking the village; the small planes that often landed in Cianorte used the church as a pylon before turning to land on the main street. The first flight over the village alerted mothers to get their children and dogs off the strip. The Hartmans told us the story how just a few days before a man adept with a machete had killed a jaguar that had been killing a neighbour’s piglets. We visited the little store where that salted skin was rolled up on the rough bar, the same one used for serving their cheap rum. We have just now passed that skin on to our daughter for she was with us on that trip—payment perhaps for her patience as a three-year old. I’ll never forget those missionaries, especially Bob who took care of us. He looks down on me from his funeral bulletin on my office wall. I am told Ruth is now in a nursing home. As for the Hartmans—a wonderful outgoing couple that would have been a success in any church in North America. I’ve lost track of them. 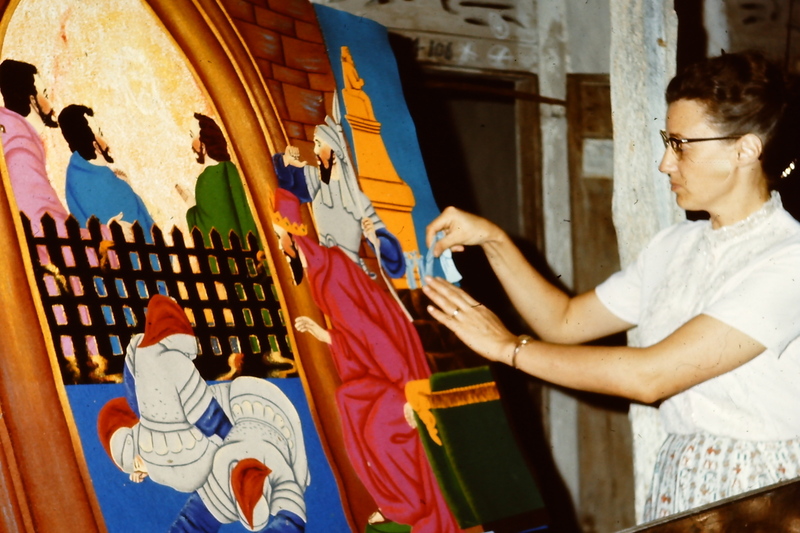 These meanderings began with Doris playing our piano—memories that take me back to our time and ministry in Brazil. And those wonderful missionaries! May they have a great eternal reward, especially those who labored where the jaguar silently padded along on its silent ways. This entry was posted in Uncategorized on January 30, 2018 by rkenny2014. Would you want to be a step ahead of the other travellers in making friends and learning about the culture in another land? Then learn some of that language. It can be scary to drop into another country but knowing a bit of the new language will make it easier for you. Even a few sentences break down barriers and make friends. Would you understand the words, “a casa é sua” when a Brazilian welcomed you to their home? Translated it means, “The house is yours” but the host is saying that you are to be at home as if the house were yours. One problem—the word “sua” meaning “yours” can sound to the untrained ear just like “suja” which means dirty. Not everyone had our opportunity to study a language. When Doris and I went as missionaries to Brazil, we had the advantage of being in a language school for a year. Added to that, every week we sat in classes that helped us to adapt to the Brazilian culture. We were thankful to have a Miss Cummings direct the school for she was an expert in phonetics. Whether you are in a country for business, as a missionary, or a short-term visitor, know this: words of greetings and some basic conversational phrases will make friends. In Latin countries friendships are basic to getting anything done. Relationships in Brazil are vitally important in any endeavor; remember this–communication doesn’t stop at the end of a work day. Speaking another language may be difficult even after months or years of study. When we speak English we have our share of misunderstandings and no matter how hard a person tries it happens in other idioms as well. An incident comes to mind. When I was in Haiti and still reviewing my French in classes, I missed some words as I chaired a meeting with pastors. They thought I was making fun of them and I did some quick explaining. Brazilians were quite forgiving of our mistakes though speaking a language well is a great step to avoiding conflict. 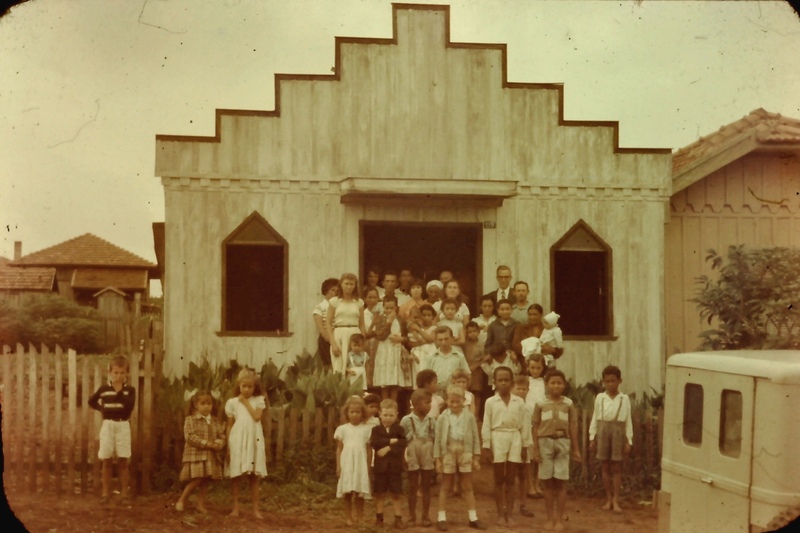 Since our children learned their first language in Brazil, it quite naturally was Portuguese. We did speak English in our home, but if we wanted either Monica or Vernon not to miss what we had to say, we used Portuguese. Everything becomes easier when a person knows the language. Idiomatic expressions make sense; slang and swear words can be avoided. I recall using a dictionary when I was not yet fluent in Portuguese. Many times I picked the wrong word from among the choices so that a sentence made no sense. Language school only gave us the basics of the language so when we moved to the interior of São Paulo State and needed to prepare a sermon, this is how it went. With a dictionary and my rudimentary Portuguese I wrote it out every word—well it all seemed o.k. to me. Then a teacher read it, tore it apart and fixed it up. Later I read the sermon word for word but still stumbling over the pronunciation.The question is how much of another language do I need? If you are remaining in the country for years, then take classes and really learn the language. Are you going there for a couple of weeks? If so, then find the person that can help you get a few phrases and sentences down pat. It will be more than worth it in making friendships and earning respect. Your efforts will count. We as a family with relatives and friends from Canada were visiting a church out in a country area a good distance from Port au Prince. There we learned to speak the Haitian Creole. Wherever you are visiting for a few days, learn a bit of the language. You will find it will be more than worth the effort. Communication is an important skill and returns many dividends. There is another language, one a person learns as he becomes part of the Christian faith. The language of the hymns I learned as a boy now move me deeply as I listen to them; one reason for that is those words express truths from the Scriptures that give me hope of Eternal Life. May I encourage you as a reader to learn the language of the Christian faith. It brings peace in this life and it offers hope for all Eternity. Some day you will find the time and effort well spent. This entry was posted in Uncategorized on January 24, 2018 by rkenny2014. I’m again writing about the work of Brazilians—as if I were an expert which I am not of course. This saying might fit me, “Encher a linguiça.” An exact translation is, “To fill the sausage” but it means “to ramble, to fill space with meaningless things without quality.” The explanation is that long ago the rich could eat good meat but the slaves or workers got pig guts or the poorest leftovers. Later the pig intestines were filled with the poorest meat—sausages. I hope this blog goes a bit further than sausage. Every brick was made by hand with red mud plopped into a mold and then laid out in the sun. When dry then all those bricks were stacked in a kiln for burning. 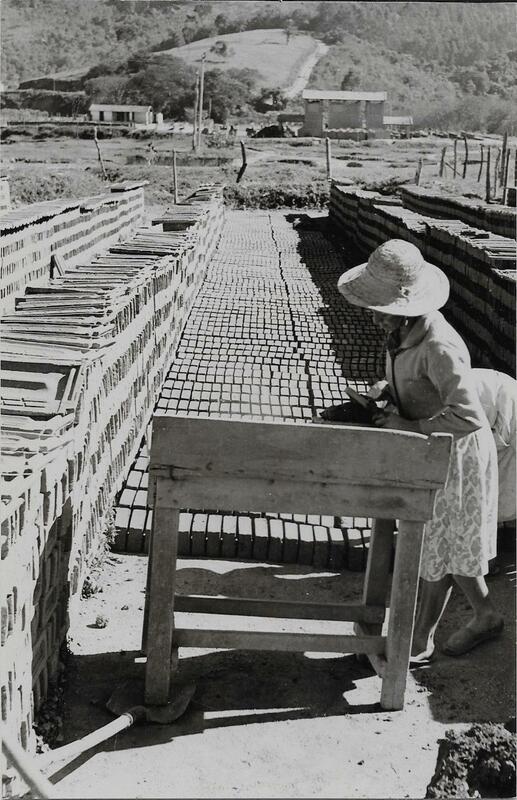 Often brick making was a family project for this woman is hard at work with another bent over beside her. I recall visiting a family’s project of piling the dried bricks into their small kiln. The small opening would be blocked after wood in the center was aflame so that later the bricks would be burned—hard like rocks. Those are oversize bricks in this picture. There are no bricks without mud. 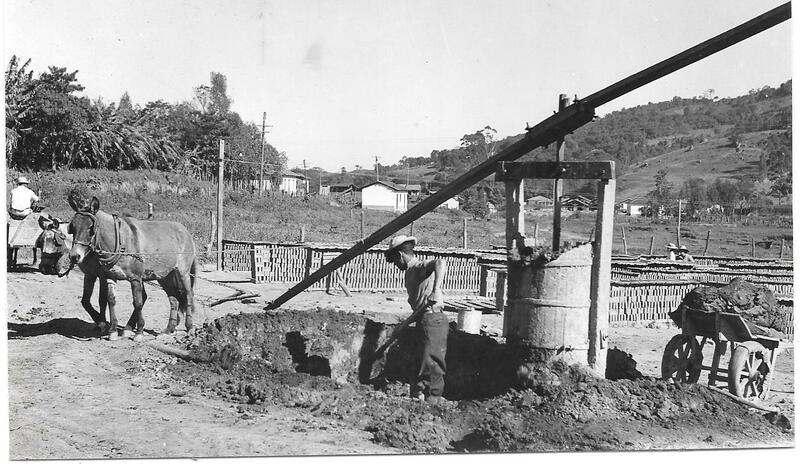 Here red soil is processed with the help of a donkey and the man of the home till one day it will make bricks. Common red dirt+water+hard work make the right consistency of mud. Right now I feel a sermon coming on. You see we are like the soil that needs a lot of mucking, hard work and some heat till God makes us into the bricks he desires. I too need to take that to heart. Even children do their part, in this case selling fruit from door to door. From their smiles I imagine they are not unhappy for they no doubt realize they are contributing to the welfare of their home. A person with some experience with children was explaining that we are limiting our children’s ability to become mature adults when we spare them hard work and discipline. The wisdom of the ages in proverbs encourages us to “train up a child in the way they should go.” Nuff said! Street markets are a lot of work for the stalls go up at daybreak and come down after lunch. The next day is the same each in a different section of the city with no guarantee that a person could make a living with this work. As for me I liked the street market for there were hot snacks or a coffee that would hit the target of good taste. And somebody was at each stall with a smile tending to every wish. The market means a person has fresh fruit and vegetable for the table at home. Here is Dna. Irene just back from a street market, a picture from a number of years ago. 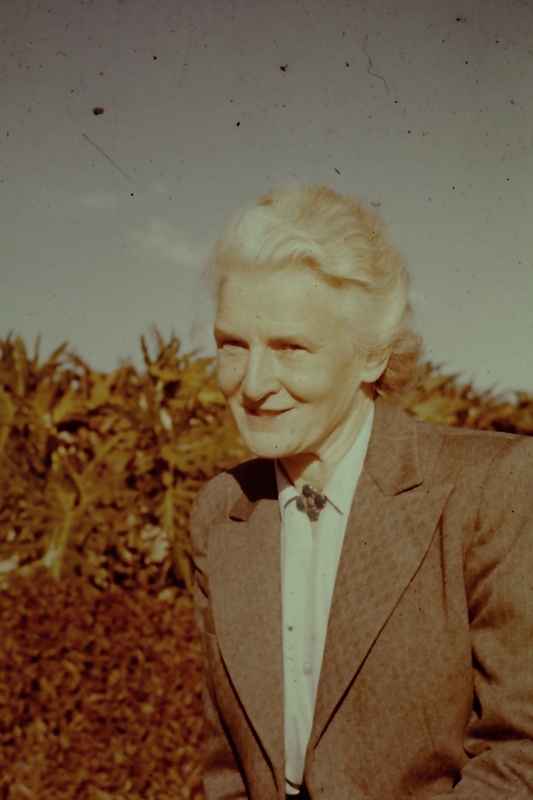 This lady was something like a mother to the fledgling F.M. church for her energetic ministry blessed the lives of many people. Again and again we enjoyed the hospitality of her home and meals. Christian work has a purpose, that is to build the Kingdom of Jesus into lives so that they may be successful in this life and at the end of it all have hope of eternal life. That too takes a lot of work, commitment and energy by those who give of their time to bless others. This group of children in a church planting project is a good example of what is occurring ever and anon. Jesus calls us to “lay up treasures in heaven.” Could this be the children who experienced changed lives through the Gospel? This entry was posted in Uncategorized on January 16, 2018 by rkenny2014. 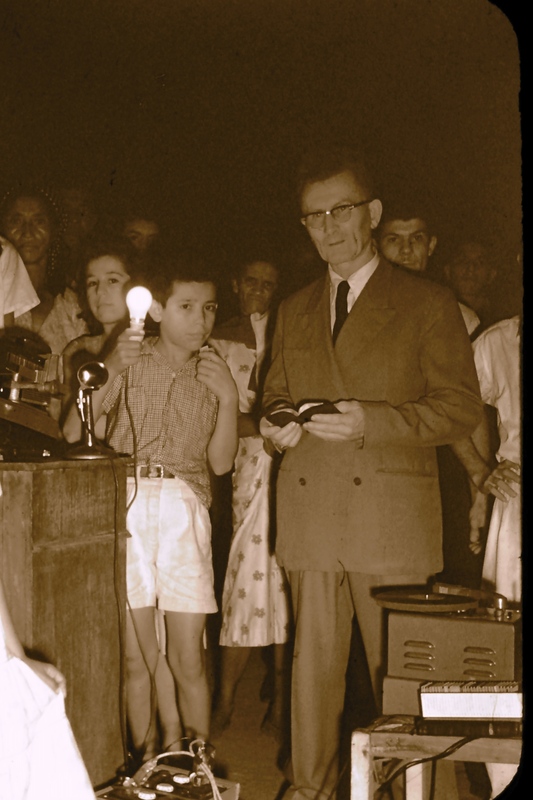 Professor Josué and his wife Rute wanted to change the world in which they lived; they wanted to make it a better place and since they had seen the influence of the Gospel, planting a church in their bairro became their hope. Pastor Josué and wife Rute welcome the Ontario VISA team giving a hug to Lillian Hobbs. There was no reason to imagine that a church could be built or flourish in this section of Santo André in São Paulo. Yet it happened when and a few folks of faith rented a hall and began services. Then a volunteer VISA group from here in Canada began to work with them in worship services and raising funds. Pastor Josué not only welcomes the VISA group using a rented hall but he prays for them and their ministry during their stay in Sto. André. Dna Francisca, a lady from a slum nearby had been working from her little shack to minister to the children of that favela, so she encouraged them to buy a lot just across a dirty creek from her place. 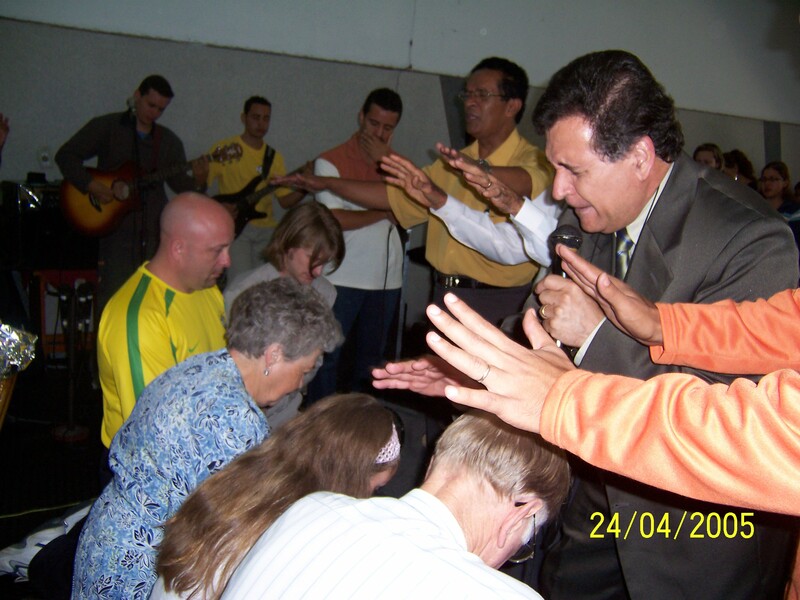 Professor Josué became the pastor all the while pouring his energy and reais into this project. A missionary friend in Brazil encouraged us to help them put up a building so Canadaian dollars and VISA volunteers gave this building project a good push. Dna. 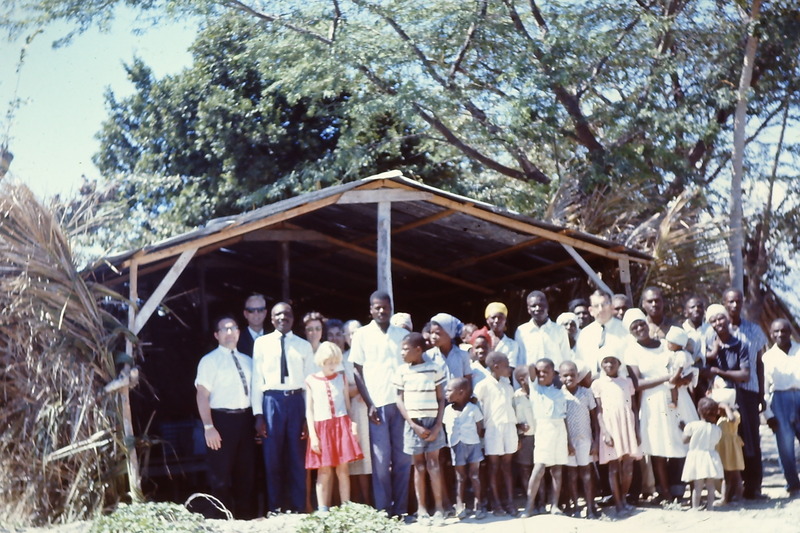 Francisca threw her energies into helping by ministering to the children in the slum at the foot of the land this small congregation had purchased. In this picture Dna. 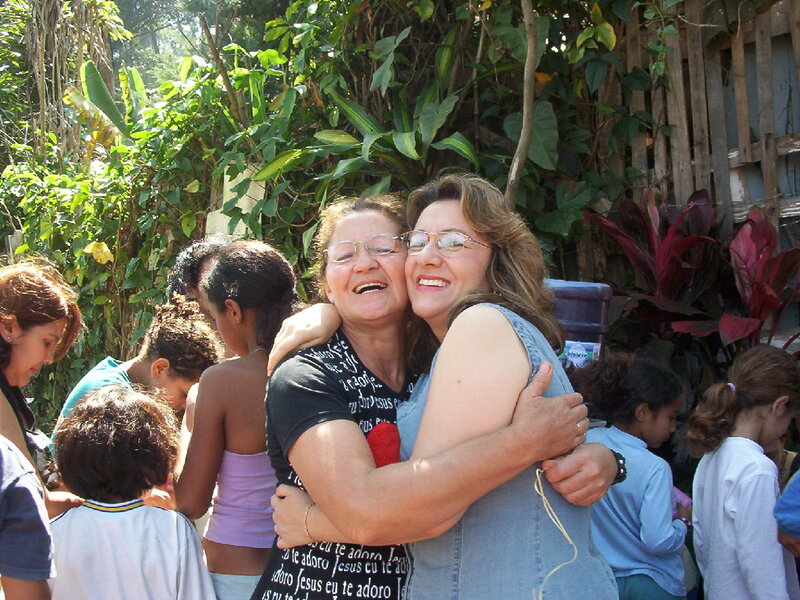 Francisca hugs the Rute, Josué’s wife in the favela where Dna Francisca ministers to children. Her dress tells the story of her faith. It reads, “Jesus, eu te adoro.” You can pretty well guess what it says, “Jesus, I adore you.” Can you imagine the message the dress declared? And can you imagine the reaction to a similar dress in Canada? 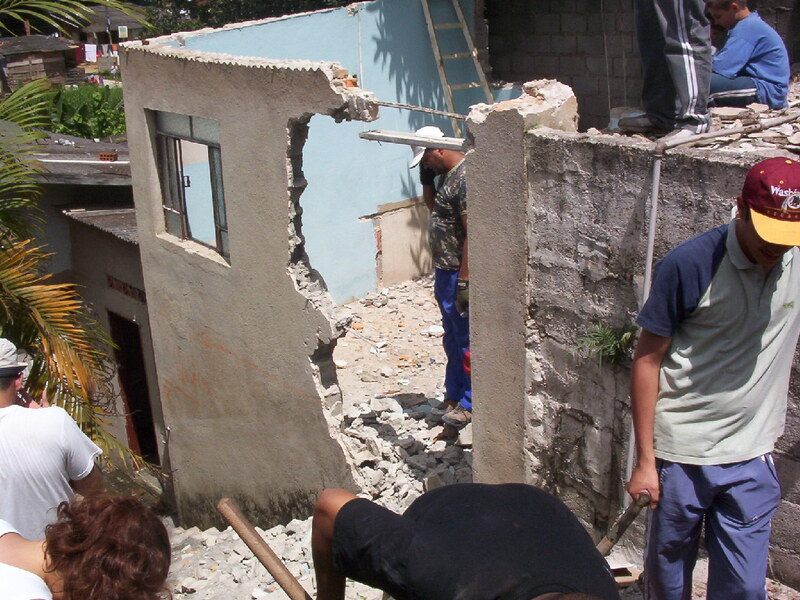 The city of São Paulo is built on hills and the building lot the congregation purchased was typical—but worse there were some old cement block buildings that needed to be torn down. That is where our VISA volunteers came into the picture. Our modest help sparked the inspiration that it could happen. The folks there brought their families and friends and the work began with picks and shovels. The old building was torn down and now a lovely church building has a strong congregation. Sorry, but somehow I’ve lost all the pictures of the new church. Doris and I were so inspired by pastor Josué and Rute’s enthusiasm to be a witness for our Lord Jesus in Santo André that we too sacrificed to help–not with pick and shovel. This isn’t bragging—this is simply obedience to the command of the Christ to be witness in all the world. We were invited to be the dedication speaker when the lovely church was finished. Once in a while a bit of faith will spark inspiration all round. And then wonderful things happen. Is that kind of a project worthwhile? Absolutely! A few years ago O CRUZEIRO, a national magazine featured the evangelical protestant movement and the huge positive influence it is having in Brazil. Wow! Church building projects such as the one in Santo André work to change people and communities for the better and gives believers hope for all eternity. This entry was posted in Uncategorized on January 8, 2018 by rkenny2014. 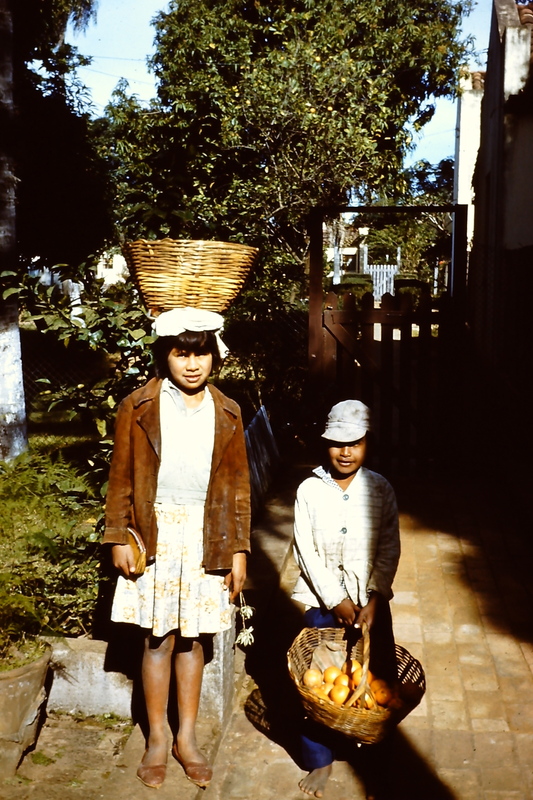 The four children that past our home were dressed so differently from the shorts and shirts they would wear for the hot climate in Neves during the Christmas season. We found out their long gowns and decorated boxes in hand made it clear what they were doing on this, the Sixth day of Christmas. They were to be part of the of a celebration for O Dia dos Reis, translated it means The Day of the Kings and it is widely celebrated in Brazil as the day for giving gifts. Outside of own culture, Christmas is a season that lasts 12 days with Christians celebrating the Magi who found and celebrated the baby Jesus as Saviour. That day is known as The Epiphany, “an illuminating discovery.” Many link the Magi in Matthew 2:1-6, as the Manifestation of Christ to the Gentiles; so January 6 is important to us—for we are Gentiles. 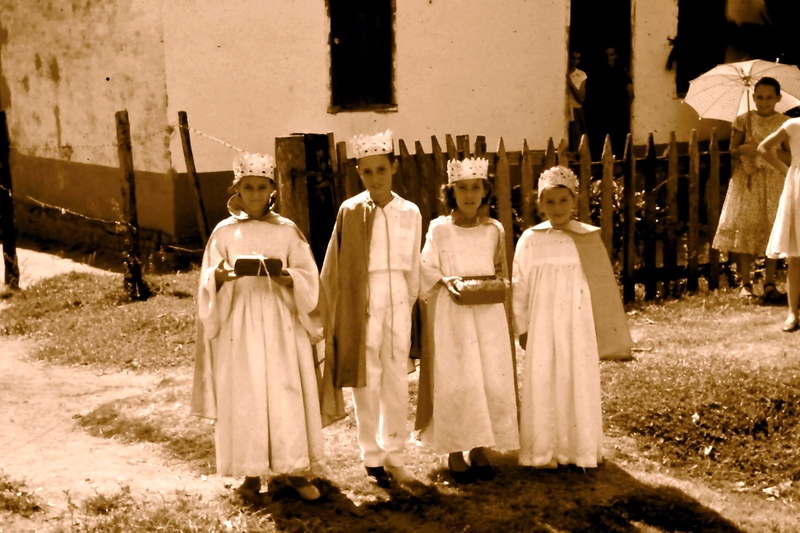 The evening before Epiphany was The Night of the Kings and it is still important to some children in Brazil. Why? They leave their shoes outside their door or beside a window with the hope and excitement that the next day they would find them full of candy. For most Brazilians, Christmas Eve culminates with a worship service at their church with Christmas dinner then served up in homes in the wee small hours of the morning. Gifts are given on the Sixth of January though that is changing now with gifts on Christmas and treats passed out on O Dia dos Reis. The Magi are not totally forgotten in Canada for while chatting with friends conversant with Newfoundland, they spoke of the Mummers. To remember the Magi, folks dress up in disguise to visit their neighbour’s homes and there they put on a short play. Then those living there are supposed to return the compliment with their own short play. 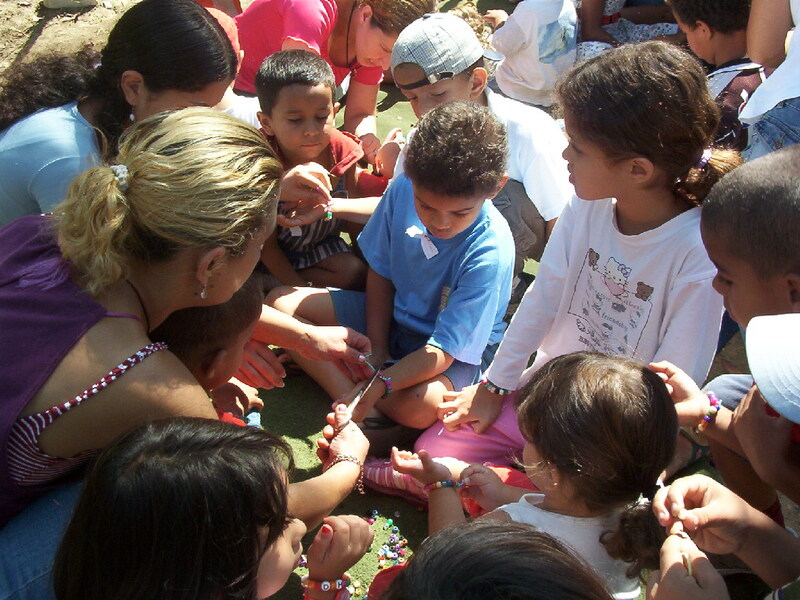 O Dia dos Reis was good news especially for the children whose parents could provide gifts. But that thought provokes another: the good news of the coming of Jesus is the greatest of all gifts for He came to provide hope for those same children in this life and continues on into Eternity. Doris made a great hit with both children and adults with the presentation of Gospel stories using florescent flannel graph art. A colleague, Murdo Campell usde film strips to minister to children and adults on the coffee farms in the Neves area. There would always be a crowd. The ministry of the Gospel to children surpasses in importance of the celebration or the Magi and any gifts or treats. 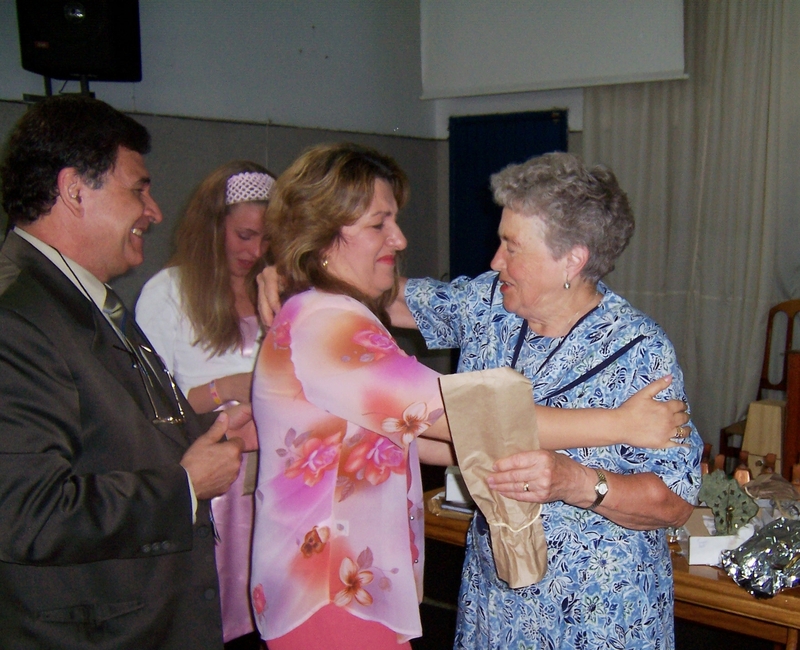 I congratulate my wife Doris for she made children important in our mission in Brazil. Everywhere we were posted she opening up Sunday Schools, programs for children and ministries to youth. It meant a lot of work to make those lessons interesting for children especially when Portuguese was not our first language. But when lives are directed to a higher level and that very hope in Jesus bursts out in their own witness to those around, then I must declare to any and all that the Gift of Jesus has no equals in its worth. This entry was posted in Uncategorized on January 2, 2018 by rkenny2014.